Dễ chịu means “comfortable” in Vietnamese, and that’s exactly the feeling you get as soon as you step into this hotel. From the warm, welcoming staff, to the earthy interior design, and the delicious Vietnamese-style breakfast, each detail of the hotel is specifically chosen to make you feel at home. Dechiu is more than a hotel, it is a calming oasis which will make you forget where you are in a bustling Vietnamese town. 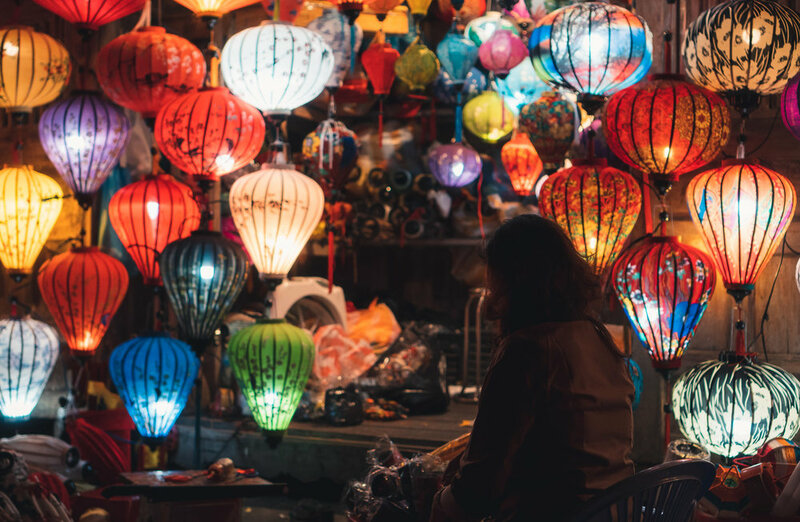 ﻿Hoi An is a UNESCO world heritage city in Central Vietnam, known for its colorful French colonial architecture, Japanese and Chinese ancient buildings, and of course, the handcrafted lanterns which line every street. The Hoi An ancient town is always buzzing with tourist activity. For those looking for a relaxing retreat away from the crowds, Dechiu is located right by the beach, a short bike ride away from the historic center. The beach outside of Dechiu is significantly more relaxing than the popular, touristic An Bang beach nearby. You can indulge in early-morning beach yoga or have a drink at one of the beachside cafes (if you can tear yourself away from the amazing food at the hotel’s restaurant). The owner of Dechiu is an architect and designer, and each of the 12 rooms is completely unique while also seamlessly tied together. Dechiu design embraces the beauty of imperfections. 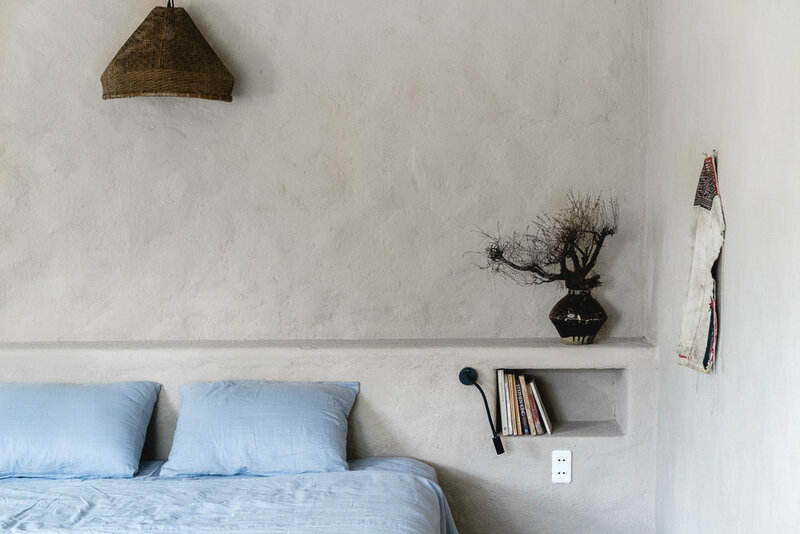 In each room you’ll find hidden treasures such as one-of-a-kind ceramics, antiques, hand-woven baskets, and hand-made tapestries and linens. No matter which room you stay in, you’ll enjoy large, comfortable beds, plenty of natural light, open space and unavoidable peace. As soon as we got to the hotel, we were welcomed by the staff and greeted by two delicious lemongrass teas. We were then quickly whisked away to the rooftop room. We immediately felt right at home in the beautiful space. You can immediately tell how much thought has gone into every detail in the room. The rooftop room has an enormous terrace with a daybed and ocean views. One of our favorite features of the room was that the shower opens up to the terrace outdoors. We also absolutely loved the window-side daybed, which was large enough to sleep on but was mostly used to stare out at the ocean to inspire creativity while we worked. We ended up extending our stay to 4 nights because we loved the atmosphere of the hotel so much, but we could have easily stayed longer. We switched rooms halfway through our stay and were equally impressed by the décor and ambiance of each. Included in your room charge is breakfast at the attached Dechiu Kitchen, a restaurant and cafe in the lobby of the hotel. We had breakfast there each morning and had lunch and dinner once each at the restaurant as well. If you’d prefer to get out to eat, there are local and Western restaurants in the neighborhood too! Each meal we had at the Dechiu Kitchen was incredible - by far some of the best food we’ve had in Vietnam. 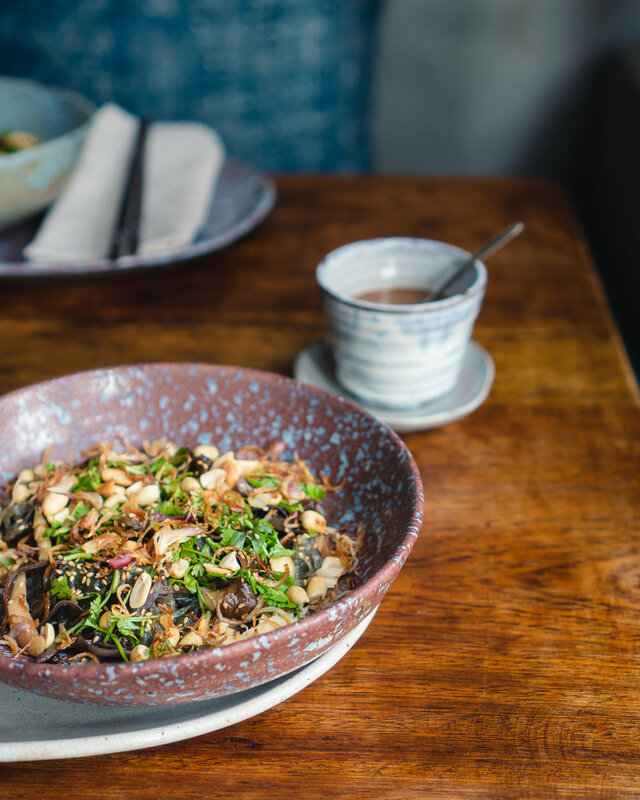 Their dishes are inspired by authentic Vietnamese cuisine and use fresh ingredients. We were delightfully surprised that each included breakfast was completely unique, flavorful and delicious. Each of the rooms has all the amenities you could need: air-conditioning, excellent wifi, tea, hairdryers, toiletries, and satellite TV. Bicycles are available to borrow at the hotel. You can quickly bike to Hoi An Ancient Town in 20 minutes. The hotel and kitchen are eco-friendly! They provide drinking water in glass bottles and don’t serve plastic straws with their drinks. If you’re traveling to Vietnam and Hoi An, we couldn’t recommend staying at Dechiu enough! You can check the availability via their website.